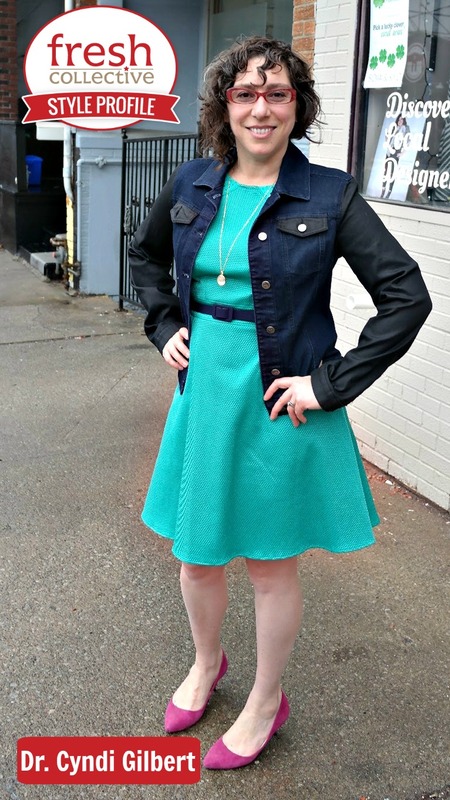 Jacket: Yoga Jeans; Dress: Julieta from Annie 50. After getting my kids off to school, I might spend some time writing, meditating, or doing yoga. Other days, I start seeing patients right away. I also supervise naturopathic interns at Queen West Community Health Centre one day a week. I cherish the moments in the late afternoon, walking, playing board games, or planning gardens and hiking and backcountry canoe trips. Then it’s back home to make dinner, hang out with my husband or friends, and catch up on reading or watching movies. Naturally, health is really important to me – my family and friends, my community, and the environment. As someone who cares and listens, helps to empower and provide the resources people need to realize their potential. I want to be known for embracing individuality, sharing a reverence for the natural world, increasing health equity and access, and bearing witness to people’s health journeys. Clothes are part of how I play with creativity and self-expression. I’ve been wearing glasses since I was fairly young, so I’ve always found myself thinking about accessories. 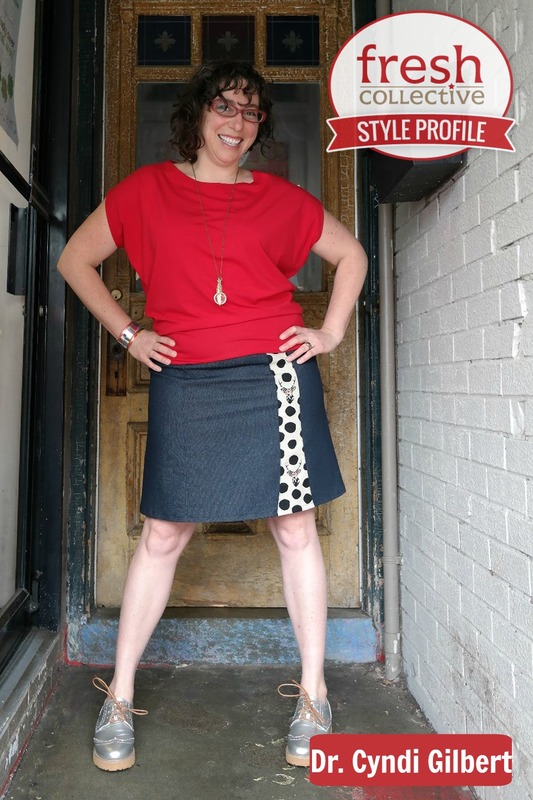 In my twenties, I designed wire jewelry and sewed my own clothes. Fashion has been, and continues to be, important in helping me define my place in the world and express who I am. 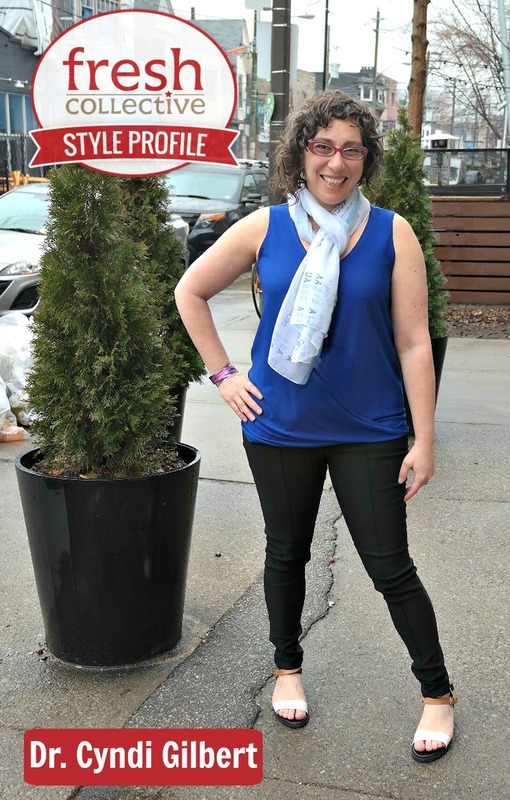 I love the passion that the staff has for making you look beautiful and helping you find pieces that reflect your personality, no matter who you are or what kind of body you have. 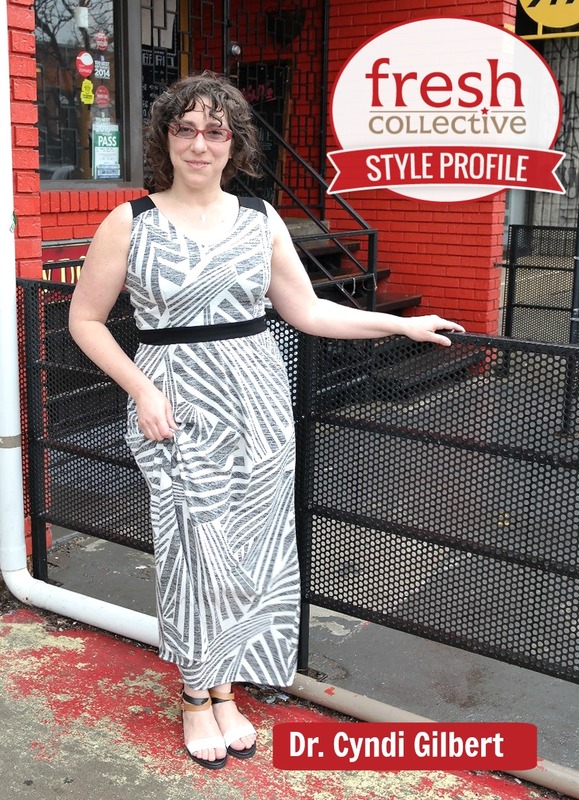 And it’s great to find amazing local designers all in one spot close to home. 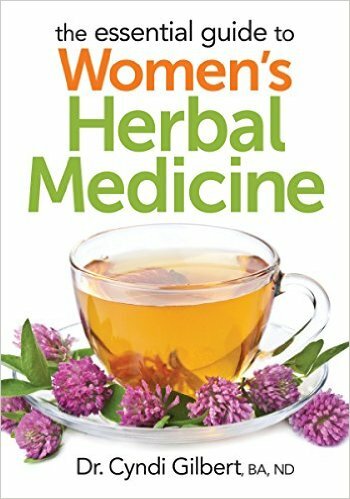 Last year, I wrote a book called “The Essential Guide to Women’s Herbal Medicine” to help women take control of their own health. I treasured the opportunity to write about my favorite herbs, how they work to address specific health conditions, and how the science of herbal medicine can be found in mythology, literature, and the names of herbs themselves. I also love working one on one with people to improve their health. I have a special interest in mental wellness, trauma, addiction, and reproductive health. I also have additional training in LGBTQ health and harm reduction. Anyone interested in working with me can visit my website to learn more or book an appointment online. I’m a synthesizer, so I enjoy the challenge of understanding patterns and the relationships between symptoms, whether those are physical, mental, emotional, sociocultural, or environmental. I am committed to providing care that affirms people, their bodies, their stories, and their first-hand knowledge about their own health. Also, I am passionate about rewilding our city. I converted my entire front yard into a medicinal herb garden, exclusively growing plants native to Ontario. I can spend hours watching bees. People can connect with me on my website, Facebook, Twitter, Instagram, and Pinterest.